As you age, the bony foundation under your eyes alters and a membrane under the eye thins – allowing fat to push forward. 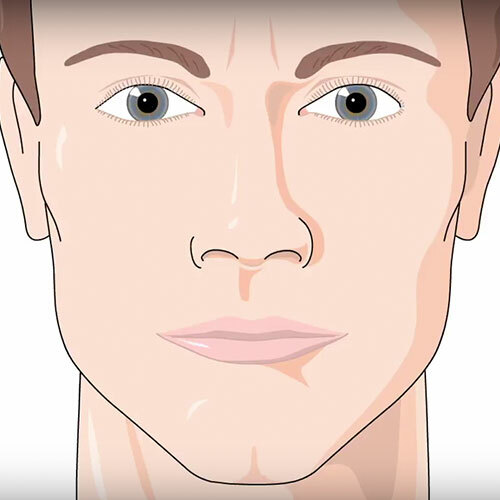 This is what causes eye bags to develop, giving you a tired appearance. Dr Sabrina Shah-Desai is a world renowned oculoplastic surgeon and is one of London’s leading eye surgeons. Her no scar blepharoplasty treatments can remove eyebags and leave you with a wide-awake, natural look. Eye bags can be very frustrating. Despite the promises from all sorts of lotions and potions, no topical cream can fix them and they can leave you with a permanently tired look, even if you’re sleeping soundly. 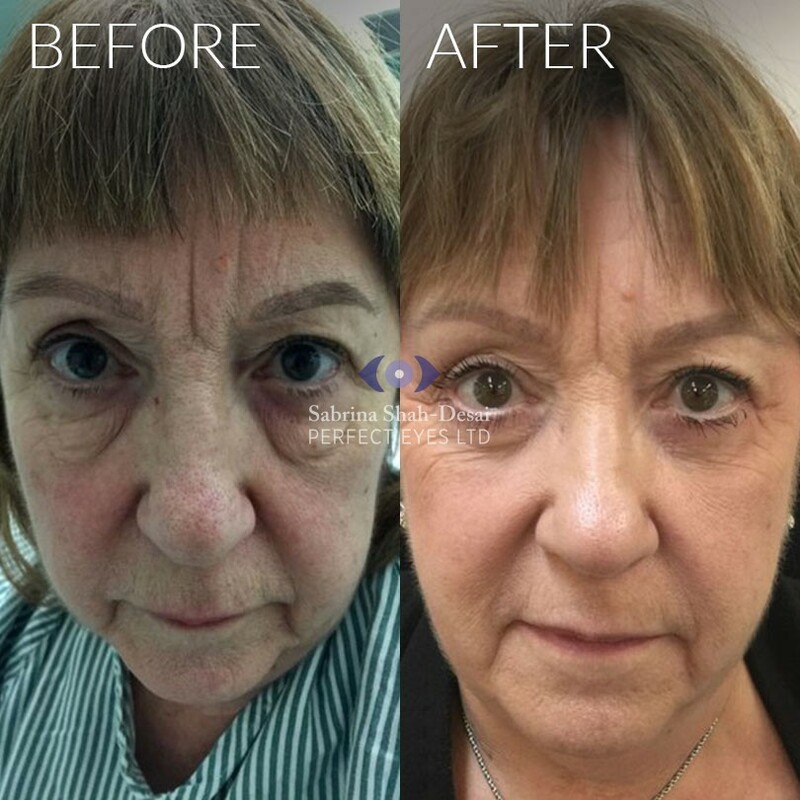 Eye bag surgery (lower lid blepharoplasty) is often the only way to remove the fat that forms under the eyes which causes eye bags. A blepharoplasty gives the eyes a more youthful look by removing excess skin, bulging fat and lax muscle from the lower lids. 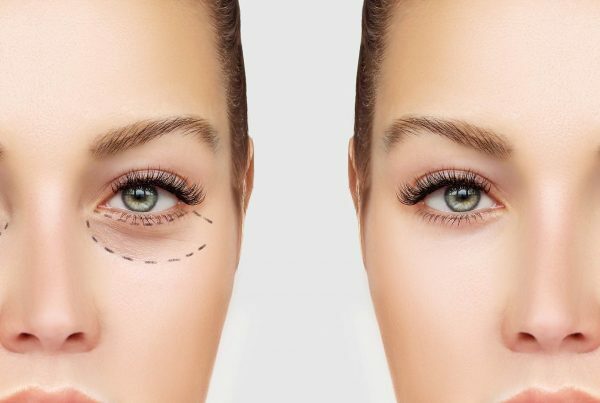 Fat in the lower lid can be removed or repositioned through a cut hidden in the natural lower lid crease or on the inner surface of the lid (transconjunctival blepharoplasty). The excess skin and muscle can be removed or the skin can be treated by laser resurfacing or a chemical peel, to tighten the lower lid skin. Eye Bag Surgery before and after pictures. Disclaimer: Your results may vary. Any specific claims or permanence length of results vary for each patient and are not guaranteed. 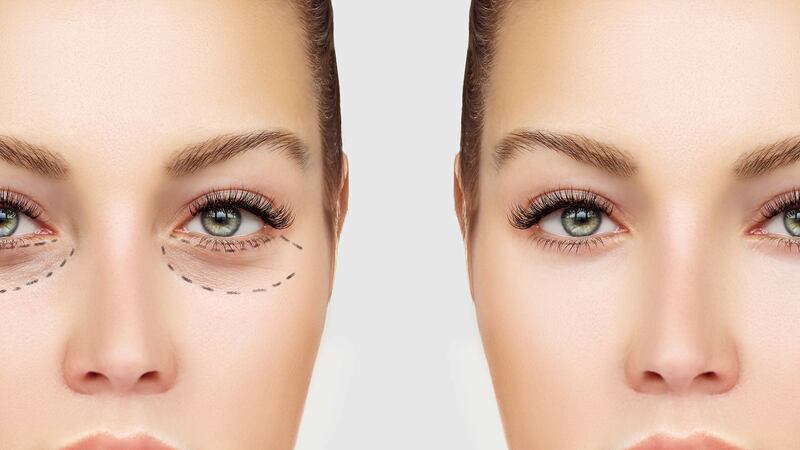 We offer two types of eye bag surgery. The first is a scarless eye bag surgery where the cut is made from the inside of the eyelid, leaving no visible cut. The eye bag is removed or repositioned to leave a smoother under-eye area. This is ideal if you have tight, non-wrinkled skin under the eye and tends to be for younger patients (though older patients can be suitable too). The second is not scarless and a small cut is made on the outside of the eyelid. However it allows Dr Shah-Desai to both remove or reposition the fat and improve the saggy or severely wrinkled skin at the same time. Eye bag surgery (Lower lid blepharoplasty) is the gold standard for treating hypertrophic eye bags. Although non-surgical options offer less down time, they are temporary fixes and are a great option for those with mild to moderate protruding fat pads. A blepharoplasty permanently removes severe eye bags and often lasts up to 10 years. For the scarless option, patients recover within 2 weeks and return to work quickly. For the non-scarless option, patients are usually bruised for 2 weeks, recovering fully after a 4-12 week period. Normally stitches are visible for the first week, then, when they are removed, a faint scar is visible. The scar may seem a bit thickened and red for 6-12 weeks, becoming almost invisible after that period. A thickened or reddened scar can be improved with silicone scar remodeling gel and our complimentaty skincare kit which is designed to aid your recovery. 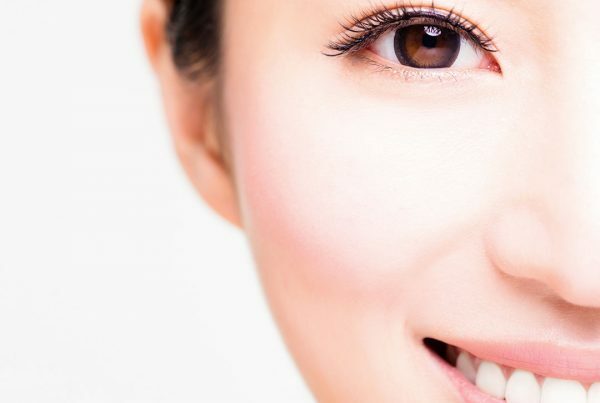 What happens in eye bag surgery? Lower lid eye bag surgery is performed under general anaesthetic and is a day case, so you can go home the same evening. Infection: this is very rare, occasionally the stitches may have an infective or inflammatory response, which settles with oral and topical antibiotics. Scarring (generally hidden in the skin fold or inner part of lid). Although most scars heal and become invisible, not every scar heals equally – meaning there is a risk of scarring. Large bruise or haematoma. This is minimised by avoiding heavy exercise for 2 weeks after surgery, stopping aspirin and other anticoagulants (if safe so to do) 2 weeks pre operatively, and regular use of ice packs. A haematoma may mean you have to go back into theatre to have the blood clot evacuated and then be re-stitched with the risk of a worse scar. “Hollow” appearance: this is rare, but can occur, due to removal of excess fat. Temporary poor blink, generally blink returns to normal within 12 weeks. Sagging of the lower lid: this can happen at the due to scarring between the layers of the lid or inadvertent removal of excess skin. 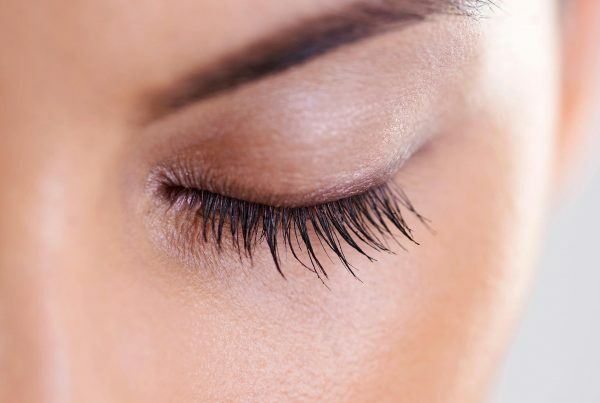 This can alter the shape of the lower lid and cause a watery eye. Occasionally this may require corrective surgery with either a skin flap/graft or a midface lift. Change in outer angle of lid. Often the outer corner of the lower lid needs to be supported when performing a blepharoplasty. 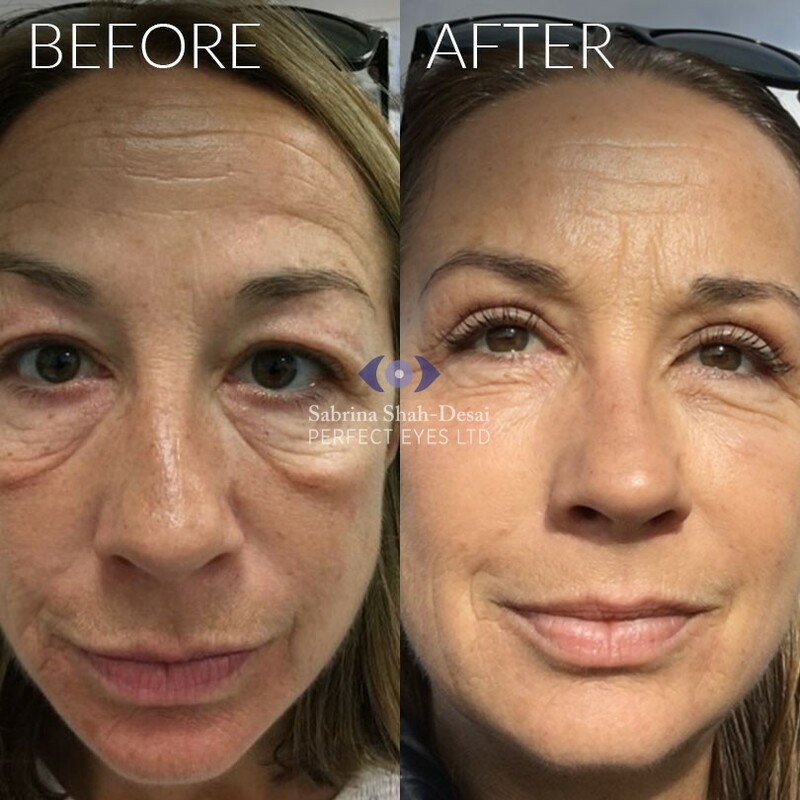 This can occasionally heal without maintaining the sharp outer angle of the eyelid, giving a rounded appearance, which is often challenging to rectify. 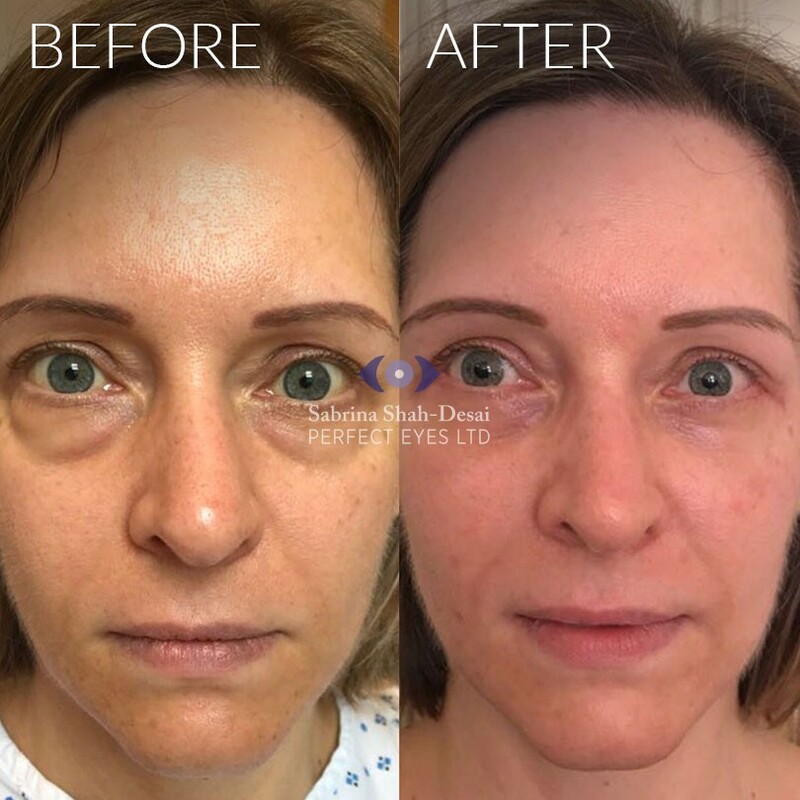 Sabrina Shah-Desai is a world-leading oculoplastic surgeon, with over 20 years of experience performing eye bag surgery. She specialises in delivering a natural-look and has a deep understanding of the ocular anatomy. 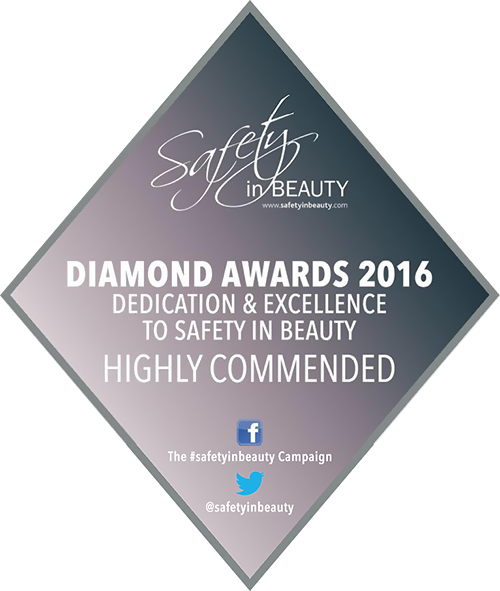 She was highly commended in the prestigious Safety in Beauty awards and has worked on their panel for judging and promoting safety in the aesthetic industry. 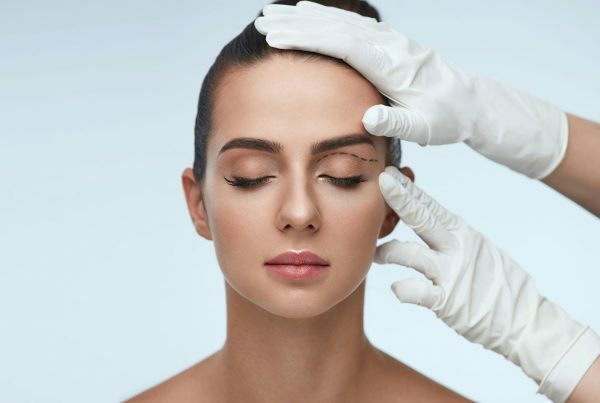 Medical practitioners from all over the world come to London to learn her eye rejuvenation techniques, which she teaches in her academy OFAA.